Since we began our MFYP journey with our own premises in 2010, we have engaged over 500 pupils from the Bury locality. We are very proud of this and aim to work with even more pupils in the years to come. Below are some pupil stories of just a few of our success stories and contribution MFYP has made to our pupils. CW attended MFYP during his last year of education in year 11. He attended two days a week with us whist attending a Pupil referral unit. His attendance was around 69 % at the school and his punctuality was fairly poor too. 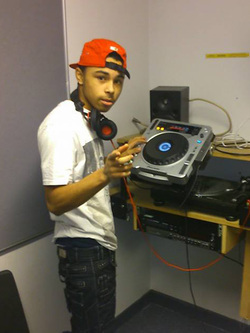 He really took to our music workshops, engaging in all areas of DJing, Music recording and Creative song writing. He built up a good relationship with the staff team and although his punctuality was not the best he was still attending and engaging in our sessions. Over time his punctuality did improve and CW produced some really fantastic work, this included his own beats produced by himself and song lyrics recorded to CD. He progressed onto using professional music software such as Reason and Cubase, which he grasped with ease. CW's personal self-confidence and motivation had also developed, which we feel was due to his passion and desire to learn music. He would regularly speak about ambitions to become an MC and recording artist and wanted to know the career steps to progress this further. 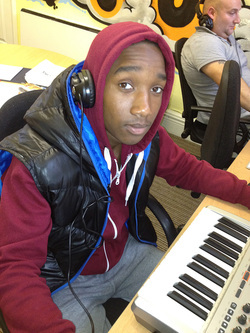 CW has now completed his time at MFYP and is currently attending The Manchester college studying BTEC Music Production. He keeps in contact with us and has now completed both his level 1 and 2 courses. He forwards his latest music videos and songs he has produced and will hopefully become a volunteer with MFYP in the near future. DC attended MFYP back in 2013 as part of his education with Milltown House. He had a passion for urban music and took an interest into both DJing and mc recording. Our staff identified the potential of DC and began to encourage his skills to develop and grow. We recognised he had a sound knowledge of beat counting, mixing and using digital equipment. He would regularly create mixes using rnb, funky house and drum & bass music. After leaving Milltown House, DC pursued a level 1 music course at Sheena Simon College, Manchester. He has so far completed this and is now progressing towards his level 2. DC has also established himself as a local upcoming DJ amongst his friends and peers. He performs at private parties and has featured as a main act DJ at a local venue in Bury town centre. He regularly drops in to visit us and updates us on his educational progress. We aim to utilise his skills by volunteering at MFYP and becoming a peer mentor. We would like to wish DC all the best for the future and hope that he continues to develop his musical talent. BH was referred to MFYP back in 2014 directly from The Chaigeley school in Warrington, Greater Manchester. He attended 3 days with us and participated in various engagement sessions, including issue based sessions, mentoring support, food technology, DJ tuition, urban art and multi-sports sessions. He engaged very well with the programme and produced some fantastic individual work with the support of our professionals. Everyone involved with BH was impressed by both his efforts and personality, which included a great sense of humour and happy smile throughout the day. BH achieved various AQA unit awards with us and was aiming towards gaining some work experience at a local gadget shop in Bury. Our careers support tutor helped BH to prepare and organise himself for this transition and managed to secure a placement for him. BH often returns to MFYP to say hello to the staff and participate in some sessions. He recently dropped in to thank all of the staff and meet some of our new pupils working with us. All of the staff would like to wish BH all the very best.